When talking about the enormous decline in sexual abuse cases inside the Catholic Church in recent years, it is customary to preface the remarks by saying that even one case of the clerical abuse of minors is too many. Such a qualifier is completely justified. The sacred dignity of the priesthood demands that priests be held to high standards. The innocence of children (so destroyed by our hypersexualized culture) must be safeguarded at all costs. Even a single case of sexual abuse of minors is one too many. However, a second qualifier should also be made when talking about the scandals. In the cases of sexual abuse accusations against priests, a single false accusation is one too many. There must be an equal zeal to defend the honor of reputable priests whose lives are being ruined by fraudulent claims and unscrupulous accusers. It cannot be tolerated that to the scandal of clerical abuse of children is now added the scandal of Catholic priests being falsely accused. However, this is exactly what is happening. 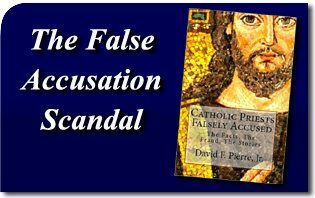 David F. Pierre’s latest book Catholic Priests Falsely Accused: The Facts, The Fraud, The Stories is an incredible account of this great unreported scandal. He tells not just a few isolated cases but documents a systemic disregard for the reputation of priests, a hostile judicial review of cases and a marked media bias against the Catholic Church. It is a tale that needs to be told. Countless priests have been falsely accused of committing horrific child abuse. This creates a climate of psychological terrorism which forces priests to live in the knowledge that a single phone call from the most flimsy witness about the most distant past can lead to a priest being banished from his flock and ministry immediately — sometimes within hours. He can expect no support from media. Sometimes, even his own bishop assumes him guilty until proven innocent. When a priest’s reputation is finally cleared, the stain of the abuse claim lingers long afterwards. David F. Pierre’s prior book Double Standard: Abuse Scandals and the Attack on the Catholic Church dealt with the media mistreatment of the scandals. This book puts a human face on the false accusations as he tells the stories of those who have suffered injustice at the hands of the unscrupulous. 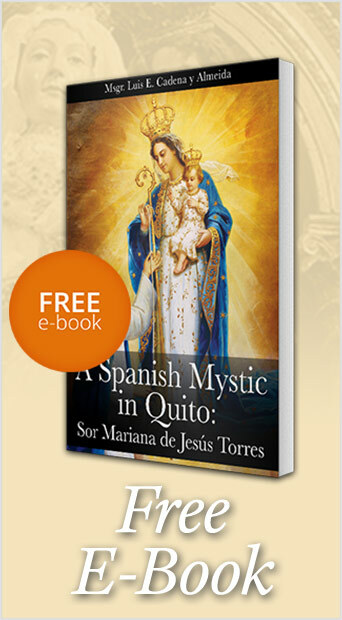 The author tells in detail the personal sufferings of several innocent priests and how the false claims impacted their lives. One case he cites is a monsignor who waited five years to be exonerated of abuse charges even though his alleged victims denied having been molested. Equally shocking is the extent of the false accusations based on flimsy evidence. The author tells, for example, how a recent and reliable report reveals that one third of accused Catholic priests in one major archdiocese were accused falsely. Estimates of false claims made against the Church in America from credible sources range from 17 to 50 percent. 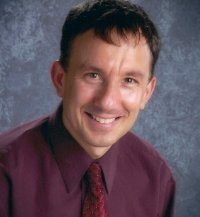 Mr. Pierre also shows how accusers have retained huge monetary settlements even though their allegations later proved to be false. This book is fast-paced, informative, and impeccably researched. The false accusations are a scandal that must be exposed. As long as there is one false accusation, it is one too many. This entry was posted in Catholic Perspective, TFP Recommends Books and tagged accusation, accuse, America, book, Catholic, children, Church, cleric, David F Pierre, Fact, false, Fraud, Media, priest, priesthood, recommend, Sacred, sexual abuse, story, TFP, victim by TFP.org. Bookmark the permalink.